Today the European Commission launched a new initiative for the sustainable development of the blue economy in the western Mediterranean region. The region covers economic hubs like Barcelona, Marseille, Naples and Tunis. It also includes tourist destinations like the Balearic Islands, Sicily and Corsica. The sea’s biodiversity is under severe pressure with a recent report by scientists from the Joint Research Centre indicating that 50% has been lost in the last 50 years. In addition to this are recent security and safety concerns from the increase in migration from the South to the North. This initiative will allow EU and neighbouring countries to work together to increase maritime safety and security, promote sustainable blue growth and jobs, and preserve ecosystems and biodiversity. 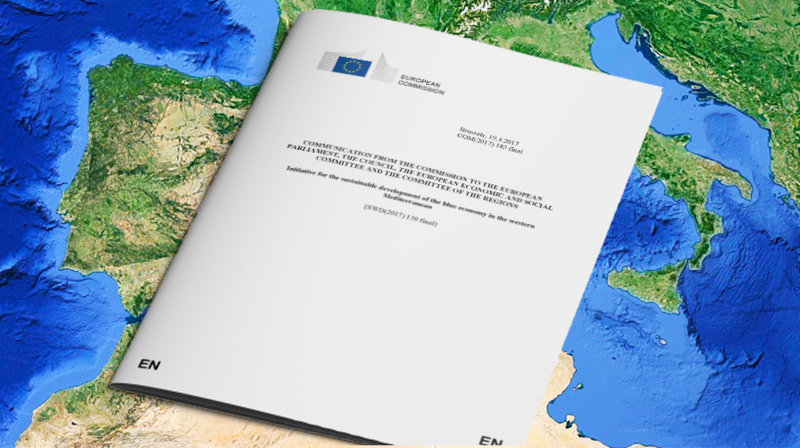 The initiative is the fruit of years’ of dialogue between ten countries of the Western Mediterranean region who are ready and willing to work together on these shared interests for the region: five EU Member States (France, Italy, Portugal, Spain and Malta), and five Southern partner countries (Algeria, Libya, Mauritania, Morocco and Tunisia). It follows up on the Ministerial Declaration on Blue Economy endorsed by the Union for Mediterranean (UfM) on 17 November 2015. Priorities include new data sourcing, biotechnology and coastal tourism. Better governance of the sea. The ‘Communication’ outlining the main challenges, shortcomings and the possible solutions. The ‘Framework for Action’ document presenting the identified priorities, actions and projects in detail.